A Colossal statue of a Bird of Prey excavated in the forecourt of a temple palace at Tell Halaf, Syria. Originally the bird statue had coloured stones in its eye socket and was mounted as part of a decorative column. 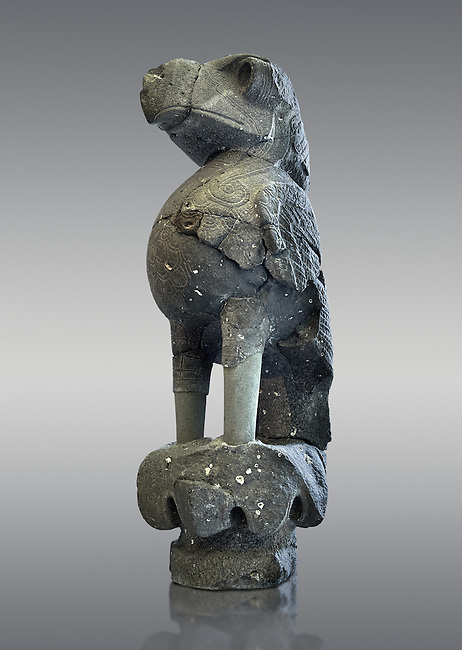 Basalt 9th century BC. Pergamon Museum, Berlin.